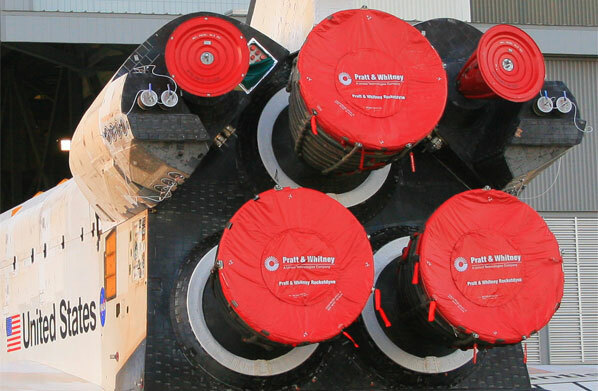 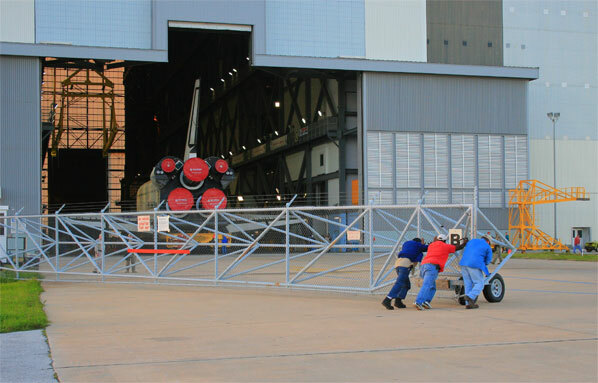 Preparing tools, maneuvering the space station robot arm and unberthing the shuttle boom for spacewalk are highlighted in the Flight Day 11 movie. 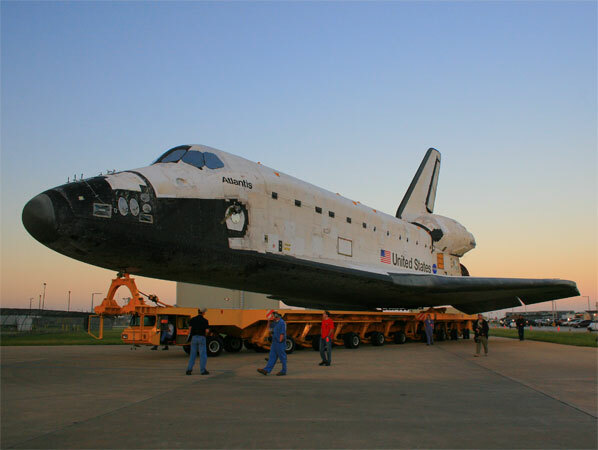 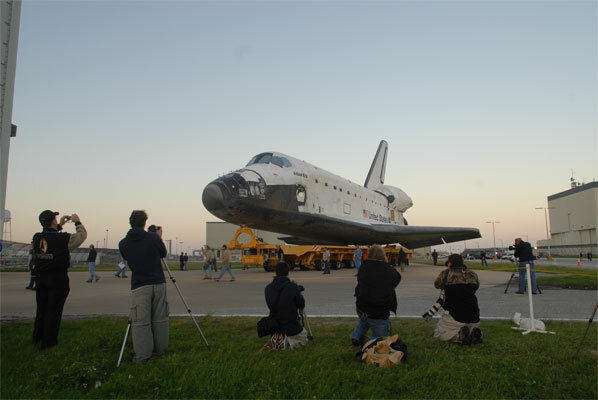 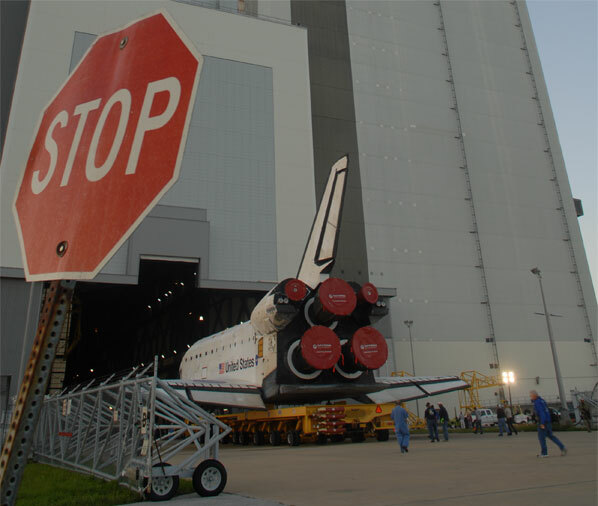 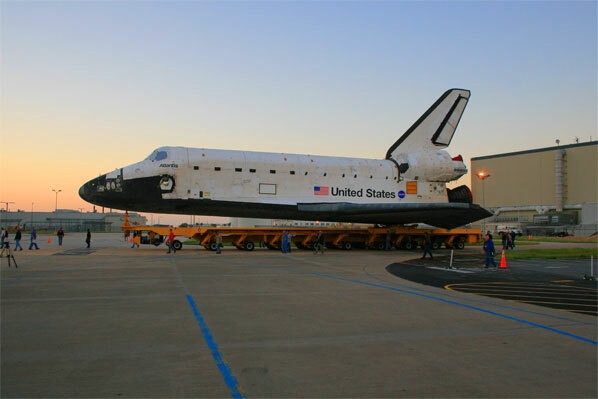 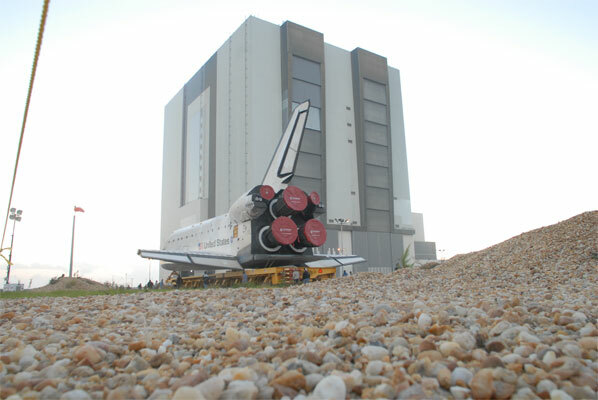 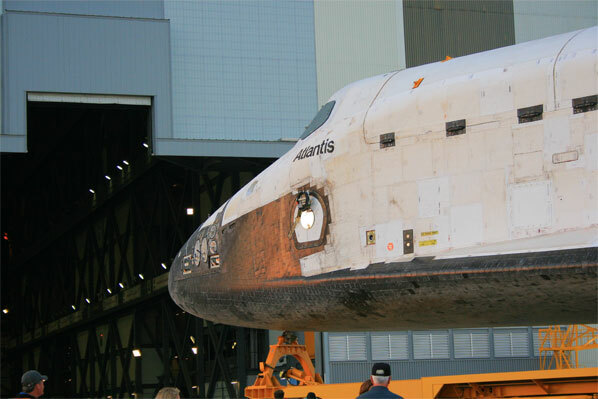 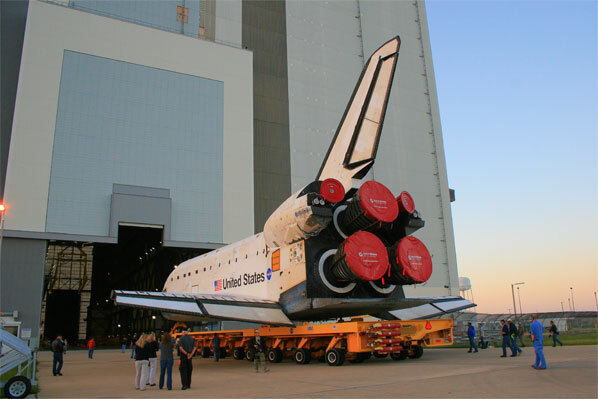 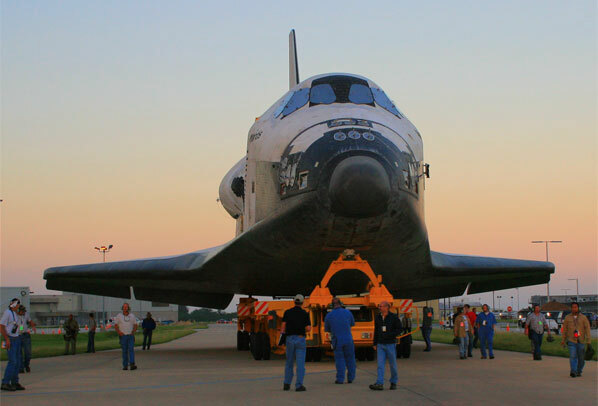 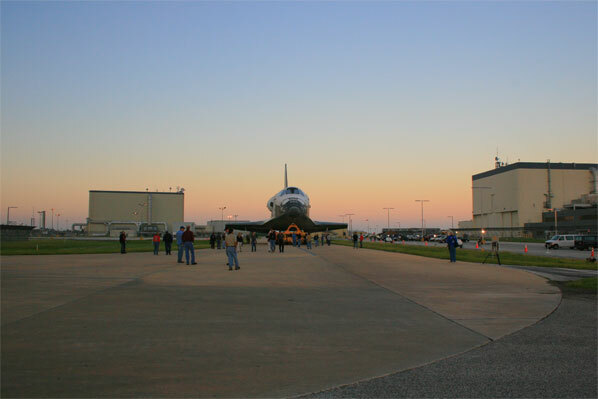 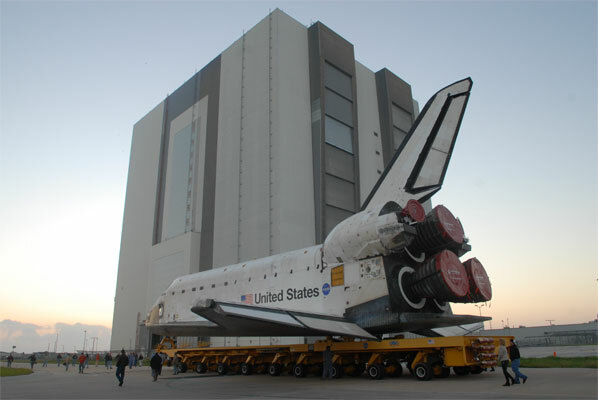 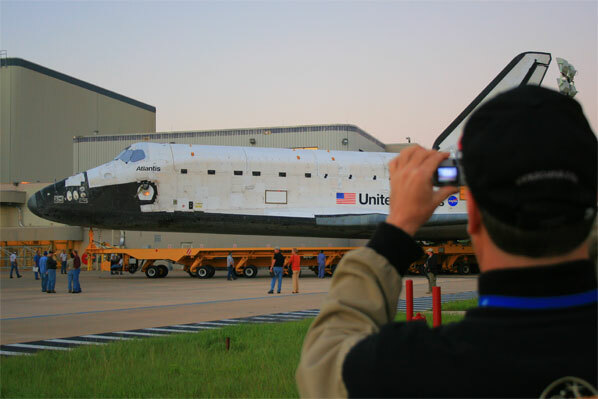 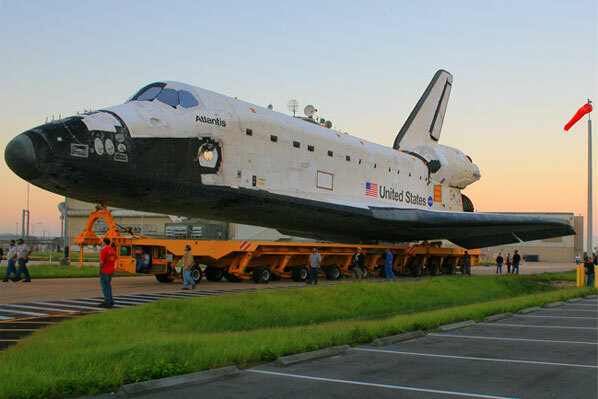 Space shuttle Atlantis takes a sunrise drive from its hangar to Kennedy Space Center's Vehicle Assembly Building. 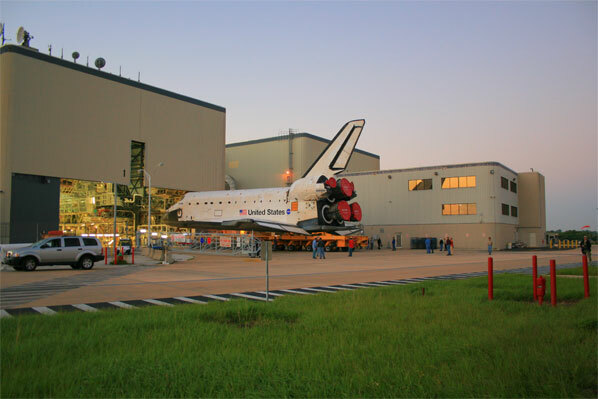 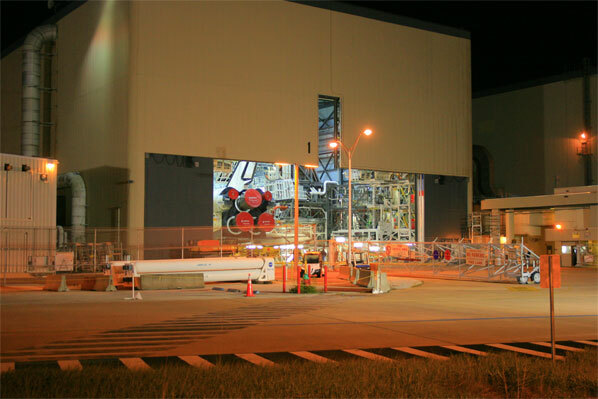 Atlantis is being readied for launch on December 6 to haul the European Space Agency's Columbus science laboratory module to the space station.